After nearly doubling turnover in a year, the family-run business, EPE, based in Bradford, West Yorkshire, now operates a 80,000 square foot warehouse, with quality offices and an on-site showrooms, and is well positioned to continue its planned growth. The company has secured multiple contracts to handle exclusive distribution in cookware & SDA products. It provides a complete service to its cook shop, electrical retail customers and department stores. Specialising in the cook shop and electrical retail market has secured the company significant market share in such a niche market sector. Holding the breadth of stock and being able to deliver to customer requirements has seen many accolades heaped on the company. EPE’s brand new showroom with state of the art, audio visual facilities and live cooking station is the pinnacle of demonstration showrooms. 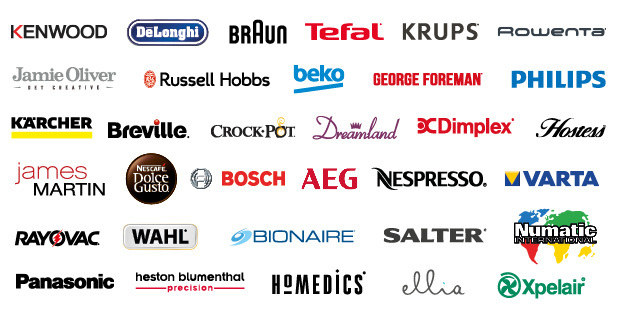 EPE are dominant leaders in the SDA & Cookware market and this investment, unlike nothing else in the industry or with competitors, sets us apart from the rest. 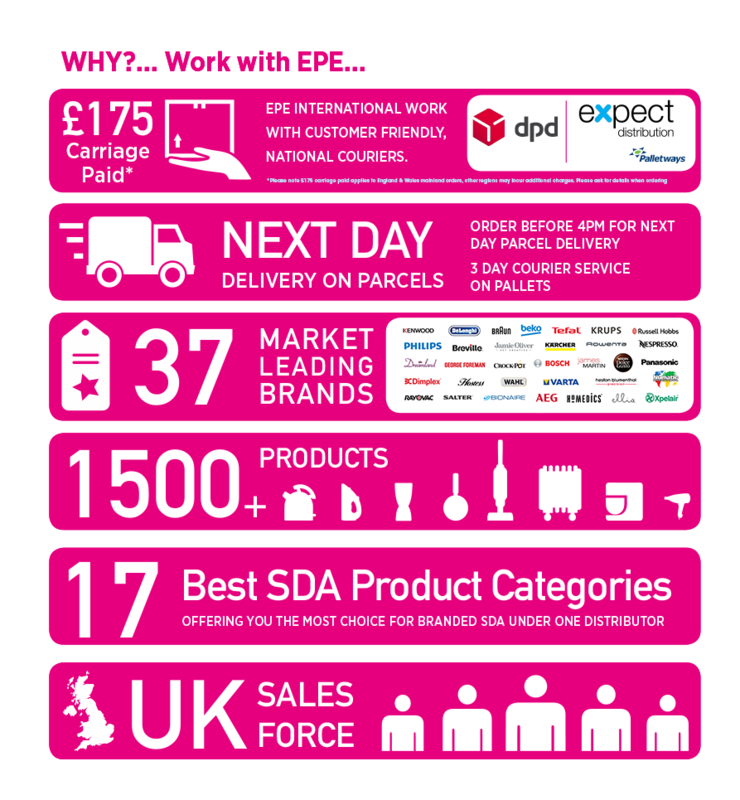 Also working in conjunction with specialist buying groups EPE International won the Supplier of the Year 2008 & 2009 for small electricals, The Most Promising Newcomer 2010 and Best Marketing (finalist), voted by the members of the buying groups, In 2015 EPE was awarded AIS Best Smaller Electrical Supplier and in 2017 awarded the Highly Commended Best Distributor from IER. Recently EPE were listed in the London Stock Exchange Groups 1000 Companies to Inspire Britain 2018 and have also been awarded Mica New Supplier of the Year 2018. The company can offer many services such as supplying core stock, range profiling for individuals requirements, category management and products for sale events. Even in today’s turbulent market, the company is still growing and attracting more customers and suppliers, which require a professional and structured approach to business. Managing Director Noel Pamment and General Sales Manager Mark Fox lead the sales force with 50 years of combined electrical retail and distribution experience, backed with an experienced administration team lead by Technical Director Kal Singh.